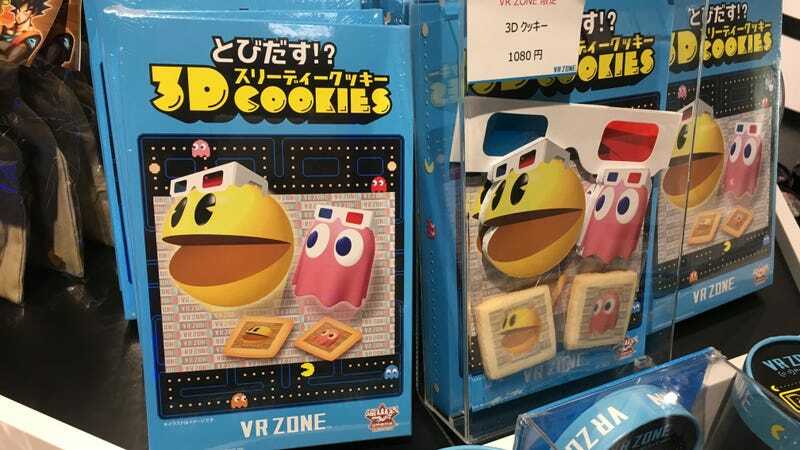 Pac-Man 3D Cookies are the most popular exclusive product in the Shinjuku VR Zone gift shop. Pac-Man 3D Cookies are the most popular exclusive product in the Shinjuku VR Zone gift shop. The images of Pac-Man and Blinky on the cookies are printed in red-blue 3D, so when you pop on the included goggles, your food jumps out at you. Guaranteed to be better than that curry.